Custom Level 3 High Detail 3D Model of London are accurate to 15 cm in all axis. Captured from the latest 2016 High-Res imagery, these models are available for sites anywhere within the M25. 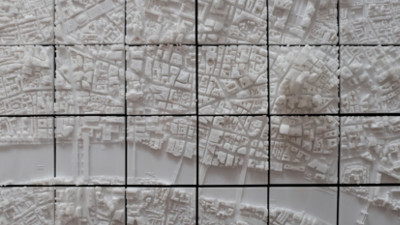 In Central London (map) we also offer 3D models in 1/4 square kilometer Tiles. London Level 3 models are accurate to 15 cm in all axis and captured from the latest 2016 High-Res imagery. Buildings are captured with correct roof shapes and all features such as chimneys, parapet walls or dormer windows. Terrain is separated into land use categories. Trees locations (captured with correct height and canopy width) are also included. 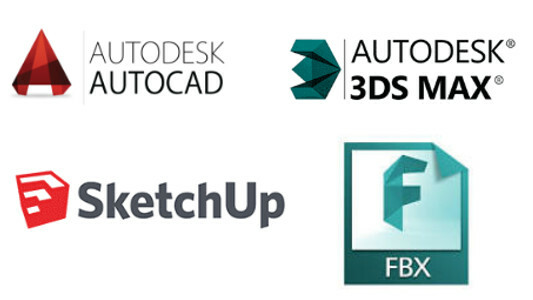 The 3D Models are available in AutoCad solid .DWG, SketchUp .SKP and .FBX files for easy editing. Available on a 5 year, company-wide multiple use licence. The High Detail 3D Model is manually captured using stereo photogrammetry. The source photography and its associated data is from the latest high-res 12.5cm GSD imagery collected in September 2016. 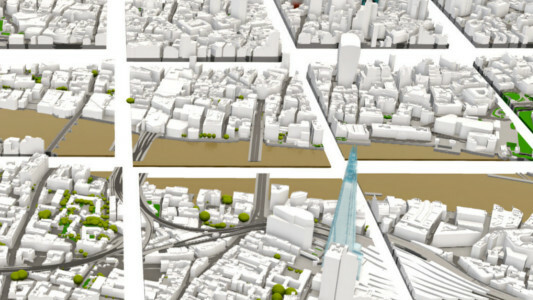 This gives the user the confidence that the most recent additions to the London skyline are included in the 3D model. Level 3 Model buildings are accurate to 15cm in all axis. Using aerial stereo photogrammetry, all roofs features and structures are precisely manually captured with correct shapes and slopes. Vertical walls of buildings in our Level 3 3D models are made as downwards extensions of roof structures. If facade detail is required, customers can purchase Level 4 models with 20% discount. The terrain in the Level 3 3D Model of London is not flat. It is manually captured using the same manual photogrammetry method as buildings and is accurate to 20cm in all axis at curb level. 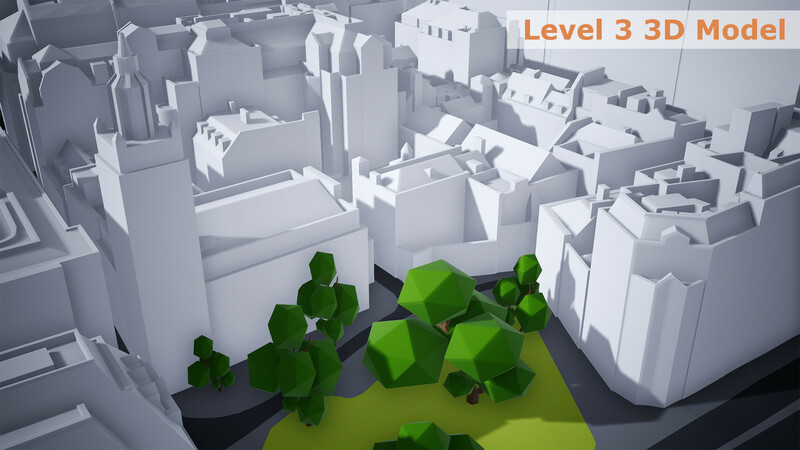 3D Models of London in Level 3 are structured in Layers. 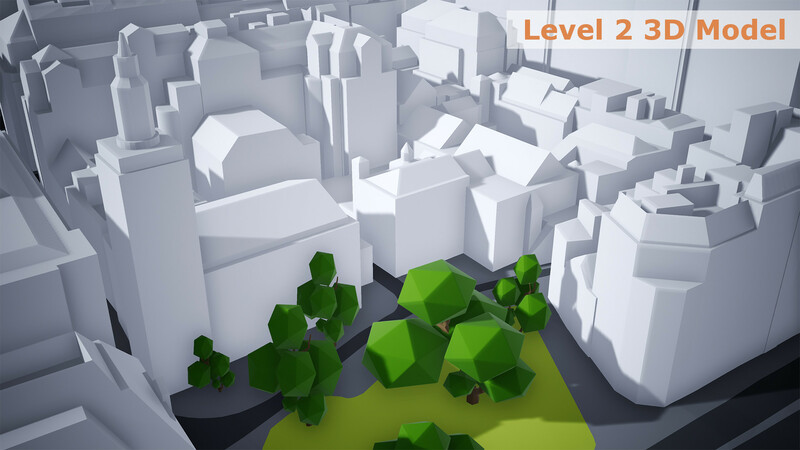 Level 3 Buildings are on one layer, terrain model is separated in layers such as Roads, Man-made surfaces, Greenspaces and Water body, but also Bridges, Embankment Walls and River Structures. 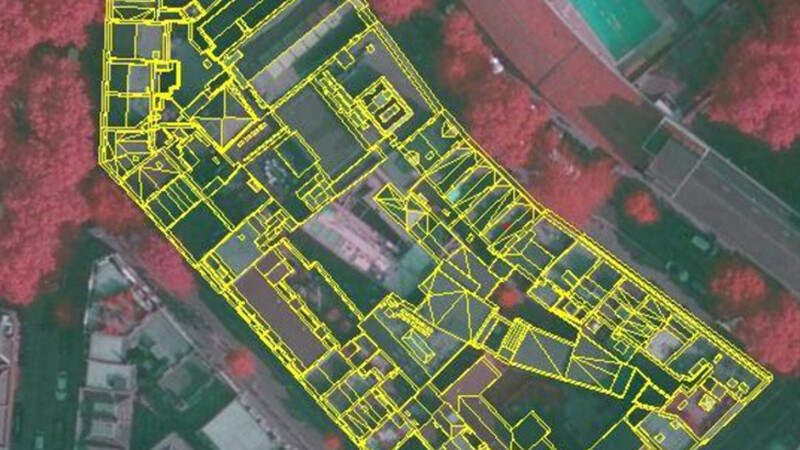 Last layer in this dataset is the Trees layer. 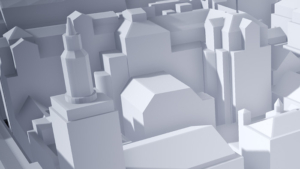 Future Skyline Layer is a product available to our Wide Area 3D Model of London subscribers. We collect information from planning portals and turn submitted drawings into a massing 3D Model which best represents planned development. Now also included with qualifying Level 3 Tiles orders. Future Skyline Layer is available for Nine Elms / Battersea, Southbank, Blackfriers, City of London and Canary Wharf. We put as few restrictions on how you can use our 3D models as possible. 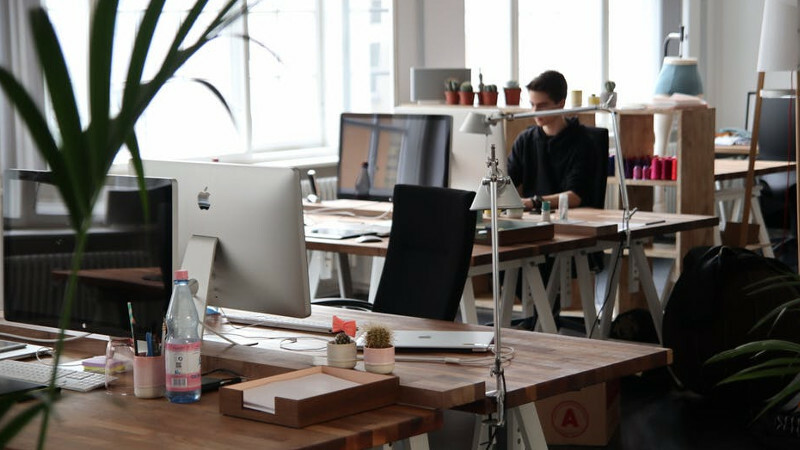 Our End User Licence Agreement is easy to understand and allows anybody in your company to use the data over and over again for 5 full years. 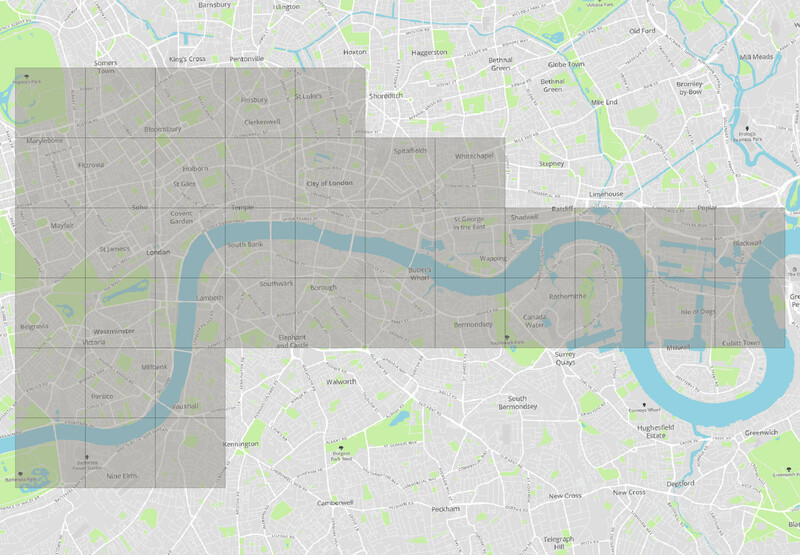 Available for sites anywhere within Central London 40 km2, Level 3 High Detail 3D Models of London in OS Tiles offers affordable & modular 3D models of London with fast delivery. 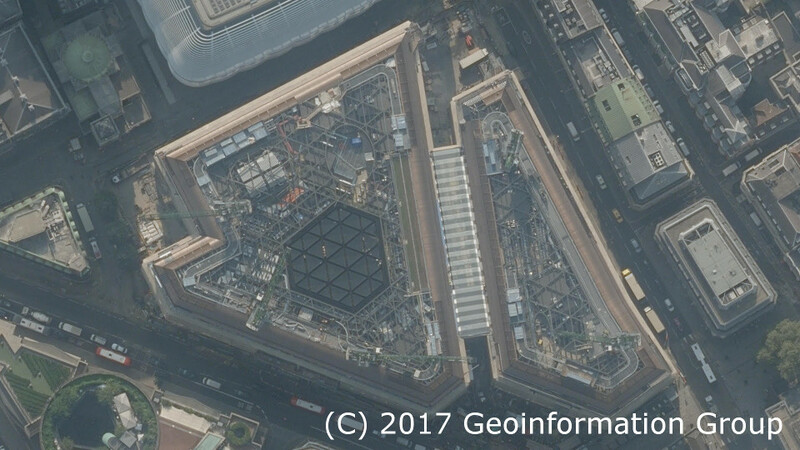 Captured from the latest 2016 High-Res imagery, Level 3 London Tiles are accurate to 15 cm in all axis. Our library of Central London Level 3 models in OS Tiles allows us to deliver 3D Models on the same day as ordered. 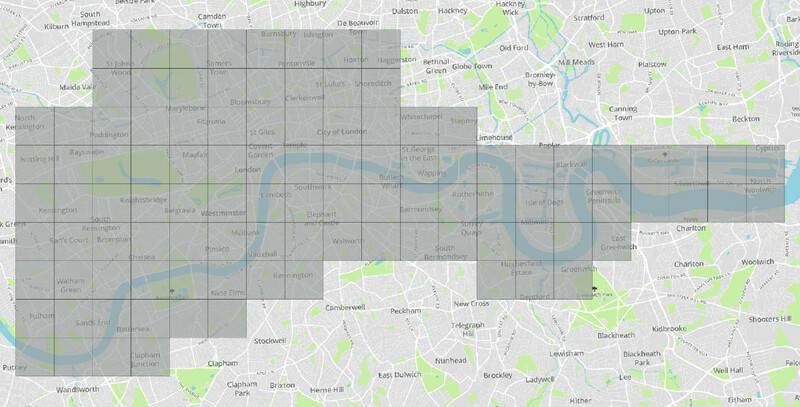 Applies to all tiles within Central London (see map) in AutoCAD Solid, FBX or SketchUp formats. 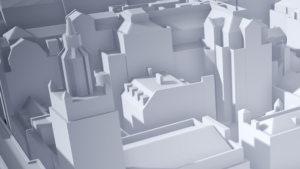 The unique Tile structure in combination with efficient production means that our Level 3 Central London Models are almost 1/3 cheaper than comparable 3D models from our competitors. Level 3 Tiles are modular with Base 3D Model of London and Level 2 London Tiles. That means that you can mix and match various 3D models to best fit your needs and budget. 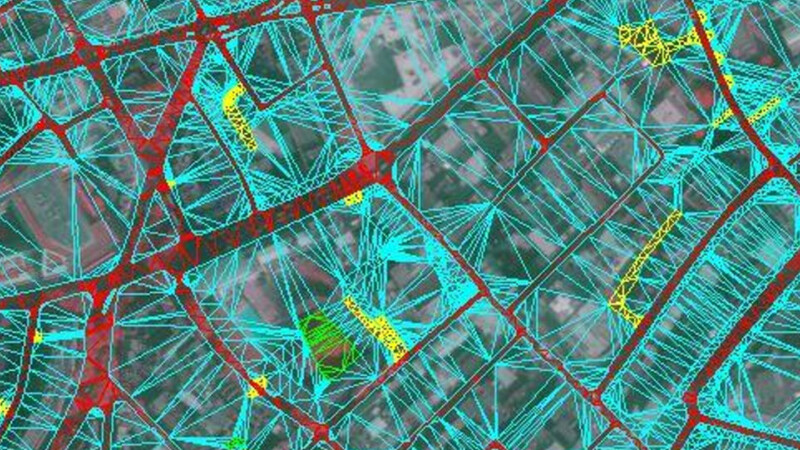 Most common use is the combination of Base 3D Model for wide area context and Level 3 Tiles for sites that require more detail and accuracy. 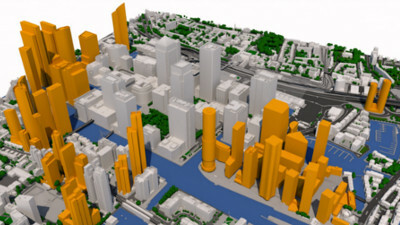 Level 3 Custom 3D Models of London can be produced for sites anywhere withing M25. Ideal for areas outside of Central London or for Central London areas which fall between tiles. Rapidly captured to order from 2016 High-Res imagery, Custom Level 3 London models are accurate to 15 cm in all axis. To send us a Quote request simply follow this link, draw an area on a map and send it our way. We aim to come back to you within couple of hours. Custom Level 3 Model minimum order size example. 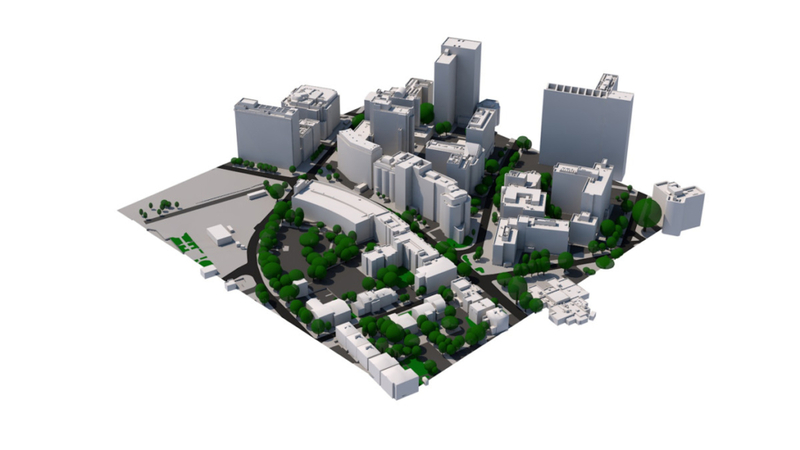 Captured from 2016 imagery, this Level 3 3D model of an area of Central Croydon was produced for Rights to Light and Daylight & Sunlight assessment. Large Custom Level 3 Model for local master plan. 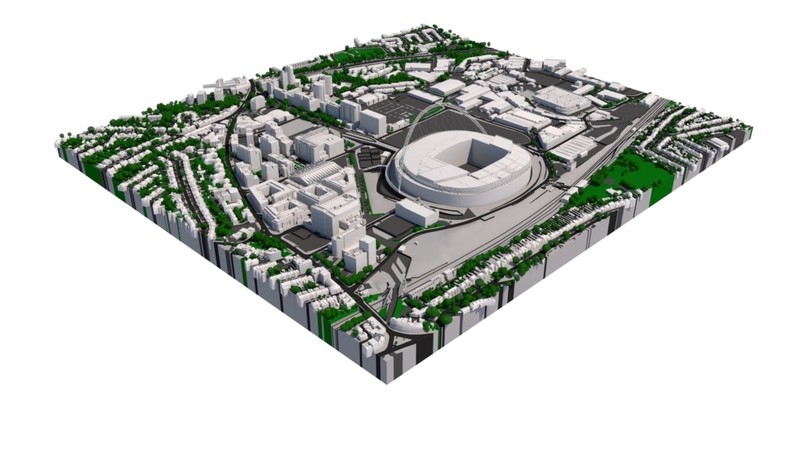 Captured from 2016 imagery, this Level 3 3D model of West London includes Wembley Arena. Because of it’s size the 3D Model was discounted by 20%. How can I use your 3D models? 3D models are distributed under company-wide, multiple-use licence which covers the use of the 3D model for 5 years. We grant to the User a worldwide, non-exclusive licence to use the 3D Model to unlimited number of Derived products (renders, animations), Incorporated products (Interactive Application, import into custom software), conduct In-house work and use 3D Model data for Physicalization such as 3D printing. What is the difference between Level 2 and Level 3 models? Our High Detail 3D Model of London subscribers also receive Unreal Engine 4 app and all associated UE4 files. Can I try & test your 3D models before I buy? Of course – feel free to Download AccuCities sample tile TQ3280SE. This large 500 x 500 meters sample can be used to evaluate our 3D models. The sample can be downloaded as AutoCad solid .DWG, SketchUp .SKP, FBX and .UE4 Project files as well as Interactive 3D Model. Different Levels of Detail 3D models are available in every format. I need facade details or interior models. If you require interior models, we can upgrade our models to Level 5. Do I need an account with you to order 3D models? Level 3 models can be ordered from as little as 0.1 km2 (which is about 330 x 330 meters in real world). Custom 3D models can be ordered in any shape – simply draw a map mark-up , send it over to us and we will come back to you with a quote. How can I send you my map mark-up? We prefer map mark-ups for quotes to be sent via our Quoting Tool. If you are having any difficulties or have a map in any other format, simply email it to info@accucities.com with your name, company, required Level of Detail and your contact details and we will come back to you. How can I pay for your 3D models? What happens after I send you Quote request? We will usually come back to you within 2 hours with costs and delivery times for your project. Once these are confirmed by you we will order imagery, set-up a Photogrammetry project, manually capture your 3D model, post process the data and deliver the 3D model to you in required format via a download link.